There are a number of classic design styles that will never go out of fashion. These styles are simply timeless, having a visual quality to them that always appeals to those who look upon them. One such design style is the Craftsman Aesthetic, which has over a century of history behind it, and which is still prevalent in many areas of the country. While it’s not the perfect style for every home, there’s no denying its beauty. And, if you have a home that already features Craftsman touches, then you’ll absolutely want to design your rooms in a way that maximizes this appeal. 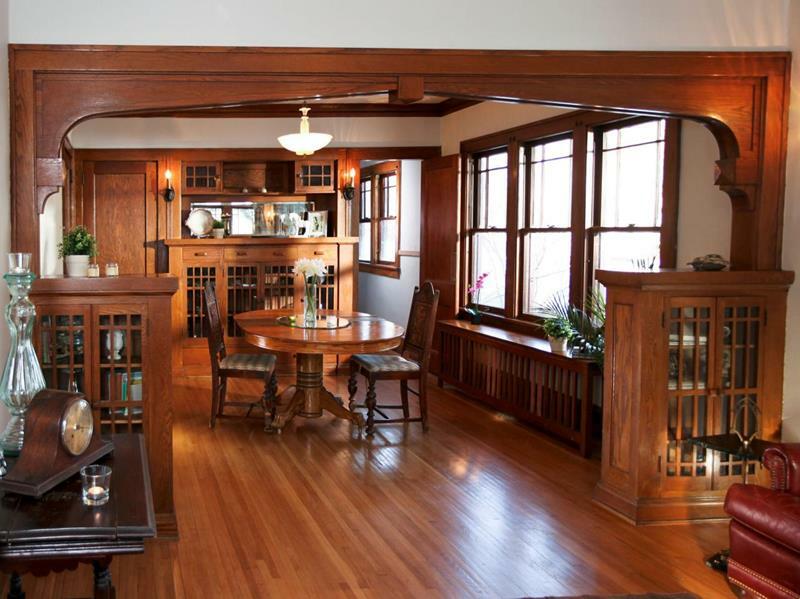 This is why we’ve scoured the Internet and collected these pictures of amazing Craftsman dining room designs. Among them, you’ll find that many adopt the style in spades. 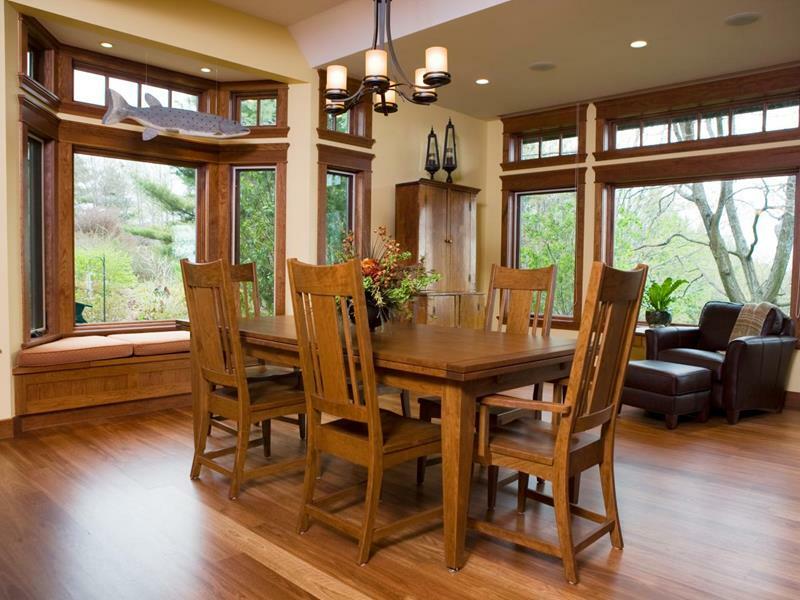 Some, however, manage to make unique choices that blend the Craftsman aesthetic with other dining room design styles, creating a hybrid look. If you’re interested in Craftsman design, furniture and homes, then you’ve come to the right place! 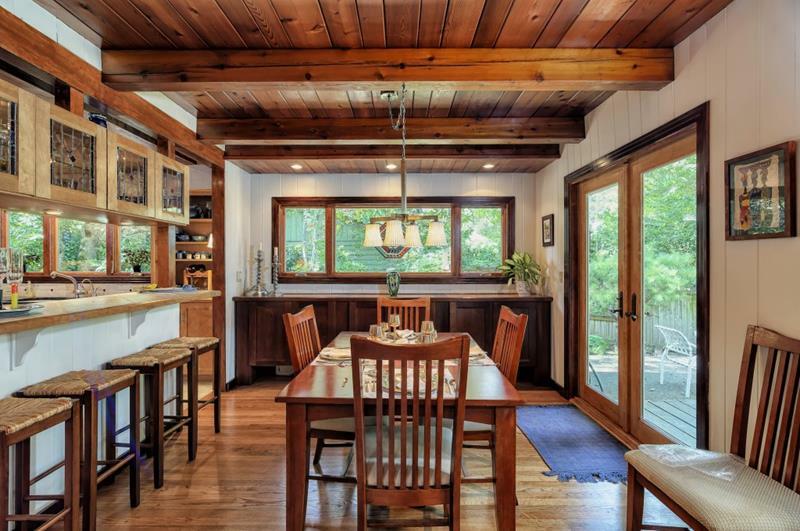 We think you’re going to love these dining rooms, and that you just might be able to find a little inspiration for a Craftsman-inspired dining room design for your home! 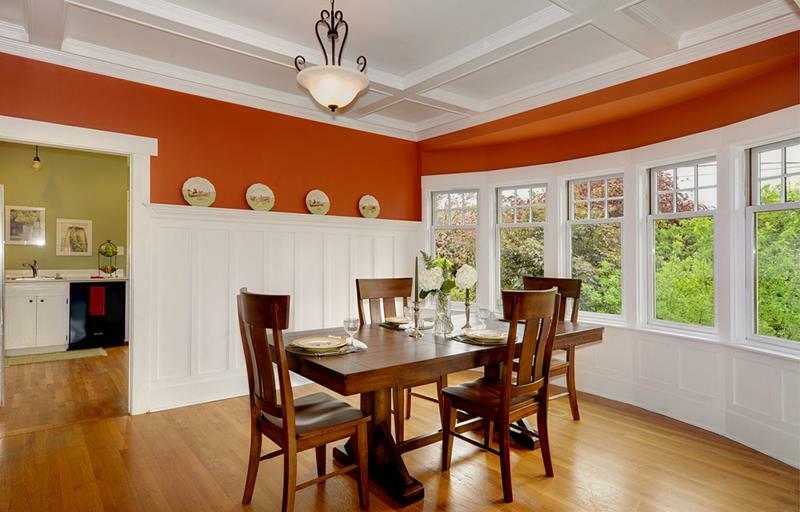 This striking dining room design achieves the Craftsman style while being beautifully minimal. The long table used in this dining room draws the eye toward the room’s interesting architectural features. A leather chair and ottoman add a comfortable vibe to this large and open dining room. 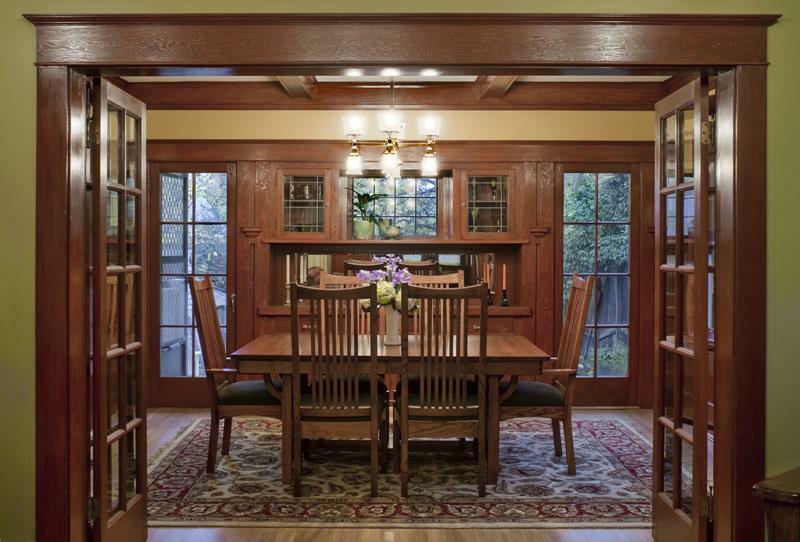 You can’t help but love the intricate detail of this stunning Craftsman dining room’s entranceway.